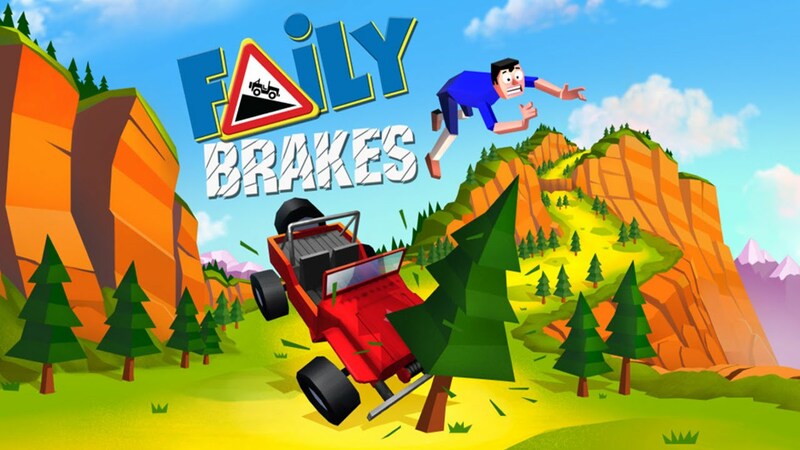 Losing your brakes doesn’t sound like a lot of fun, but Faily Brakes from Spunge Games takes a humorous look at the situation and manages to pull it off. Just think of it a variant on the endless runner games except this time your ride doesn’t have any brakes, making it a challenge and yet engrossing. You start the game as a driver who’s out on a weekend cruise when the brakes suddenly fail, and you’re headed towards trains and guardrails, and you have to try your best to avoid rocks, bridges, trees and other objects that are in the way. You also need to navigate roads and try to jump over train tracks and lakes via ramps, and all these without brakes. While Faily Brakes is challenging, it doesn’t feel unfair as your car is responsive and doesn’t feel like you’re wrestling with it (there’s an option to change the cars you’re driving, but it doesn’t seem to have any effect on the steering). Granted your car is a lot harder to handle than you’d like, but it doesn’t have any brakes so that really should be expected. And the game does try to even things up a bit by providing power ups as well as a shield that lets you move through objects, but these power ups are temporary so you need to use them wisely. Another thing to the pointed out: the objects and obstacles are randomized so every time you start the game, it’s different so you won’t get bored here.